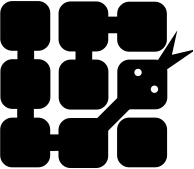 PyPR Python Pattern Recognition. The implementation of PyPR was done as part of an Ph. D. project, "Mining of Ship Operation Data for Energy Conservation", which purpose was to develop statistical models for analyzing the dynamics of ocean-going vessels, especially with regard to modelling fuel effciency. However many of the methods used can be used in a wide range of application, and have therefore been collected in this freely available library (GNU GPL licence). The Ph. D. project was funded by "Føroyagrunnurin frá 1971", which is administered by Faroese Research Counsil. The best parts are probably the Artifical Neural Network and Gaussian Mixture model. Ship propulsion modelling is the project homepage for the PhD project I did at DTU Informatics. The PhD project was funded by Foroyagrunnurin fra 1971. Code and data are available to run experiments on the propulsion efficiency of ships. You can also find me here at Github.